While the general visage and turbine front wheels of this 1968 Dodge Charger in Hot Springs Village, Arkansas may recall a certain TV show, thankfully it’s one year too early to become yet another clone of said TV show’s iconic star. Offered for sale here on Hemmings, at “$26,000 firm,” it seeks a buyer willing to forgive the damaged hood (smashed open against the windshield during transport), non-original motor, and significant rust. 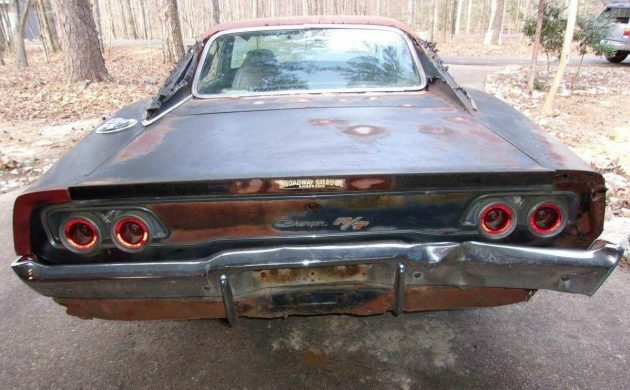 Many prefer the ’69 and ’70 tail-lights to these dual circles, but they do distinguish a ’68 from far away. Unless you drove something pretty stout back in the day, this is what you saw pretty quickly after a light turned green and this manual-shifted 440 Charger twisted up those slicks. A similar ’68 Charger driven by a spectacled mob wheel-man (actually legendary stunt driver Bill Hickman) led Steve McQueen on a rousing chase in Bullitt. No matter your taste in cars, there’s something menacing about an all-black muscle car traveling at speed. 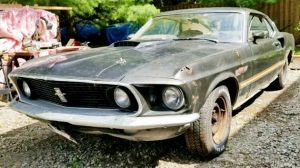 The seller graciously includes a number of under-car pictures showing numerous areas of rust-through and corrosion-pitted parts. Any shortcomings of this 1973-vintage 440 could be easily corrected with a few mouse clicks and credit card purchases. The lack of power brakes or steering combines with the monster slicks to suggest this Charger spent more time devouring straight-line posers than playing cat-and-mouse with Mustangs in the corners. 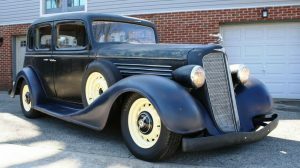 Considering the NOM (non-original motor), hood, and overall condition, are you reaching for your safe to withdraw $26,000? 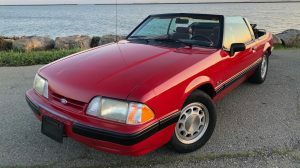 I’m sorry, I would take the $26k and invest it into not so needy car! 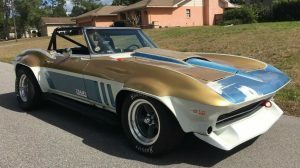 With the pricing on this car, (IMO) I think someone’s been drinking the Barrett-Jackson kool-aid! Charger’s are great and everyone would like to have one, I did, but to enjoy them someone has to bite the bullet and bring them back to life. But to resurrect the dead, you must have a good starting position and $26k aint it. Forty-five hundred, ($4500) would be the max for this thing, and that would include shipping to me. well it hasn’t improved much sense last march…. There was a time when you could have picked up something like this for a GRANDE at most ,its really gotten crazy! 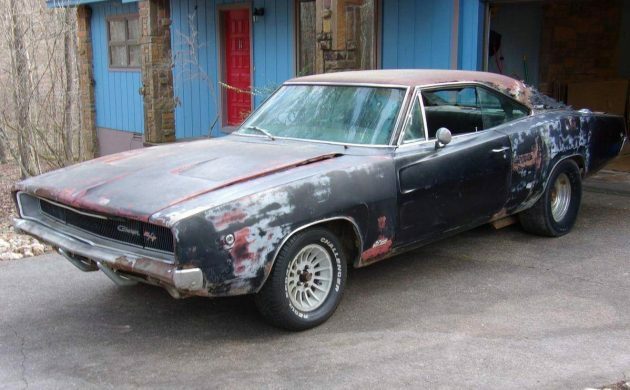 In the late 70’s, I bought a 1970 Charger, 383, 4 speed, much better than this, for $500. And in the late 70’s I bought a Hemi Road Runner 4 sp for $500 and towed it home with a tow bar with old blue…..those were the days ! Same location, so assume same seller. It hasn’t sold in nearly a year shoukd tell them something? $2600, maybe. Too much work to do to fix everything. 26k for that i dont think so. Ice fishing car. You could sit in the bucket seats and fish through the rust holes! in 80 I bought a 71 383 4 speed RR for $400. Nice looking, but was a piece of crap. Traded it 6 weeks later to a guy for a TR250 that needed a clutch. Only Mopar I have ever bought (Jeeps excluded). I think this one just has one too many zeros in the price and it would be ok. Numbers matching it might be viable if you already have a parts stash at around $12k to $15k. That price is quite high, considering the condition of the ugly menace, but I can’t help imagining this ride years ago, at speed nearing a red light downshifting to second…with the exhaust rapping and popping in disgust…idling at the light with the whole car shaking in time with rough idle and loud loud Loud! Yeah, them were the days to enjoy cars like this where as any more it’s all about dollars and cents., or lack of it. Well, at least it’s not orange. 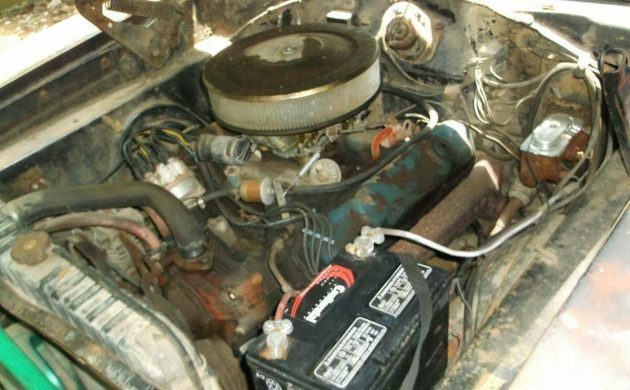 The Dukes of Hazard show supposedly burned through 1-2 68/69 Chargers per episode – 147 episodes. The show car was a 1969, but as the supply of them got tighter, they were able to use ’68s by swapping taillights & grilles. Later in the series they had to use scale models and footage from previous episodes. I would have screamed like a turkey having its neck rung on the day before Thanksgiving if I would have witnessed that hood going up and ti its demise. That one part is probably worth more than my entire BMW M3 (E36)! Restoration cost will exceed 125k if it needs floors, quarters, inner panels, etc. Chargers are one of the hottest mopars going, very limited parts supply on some Charger specific items equals high parts cost. Wow! After looking at the pics in the listing, this would be a scary beginning to a project. there is rust and scale on everything underneath the car. 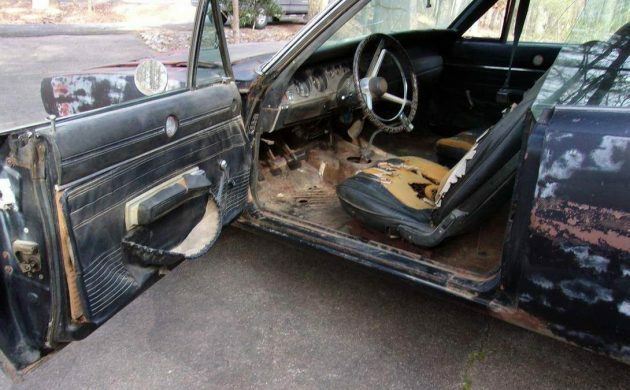 Til you get done scraping the rust, there may be nothing left. Drunking top much and watching top much Mark Woman. A close friend who makes very good money paid $5,000 for a similar Charger he drove home. Bought all new AMD panels. They, like all repo junk, dont fit very well. He is $49,000 into fixing this pile of crap and no paint yet.